Susan Fancher is an internationally-recognized concert saxophonist known for her deep and poetic musical interpretations. A much sought after performer of new music, she has inspired and premiered over 100 new works for saxophone. 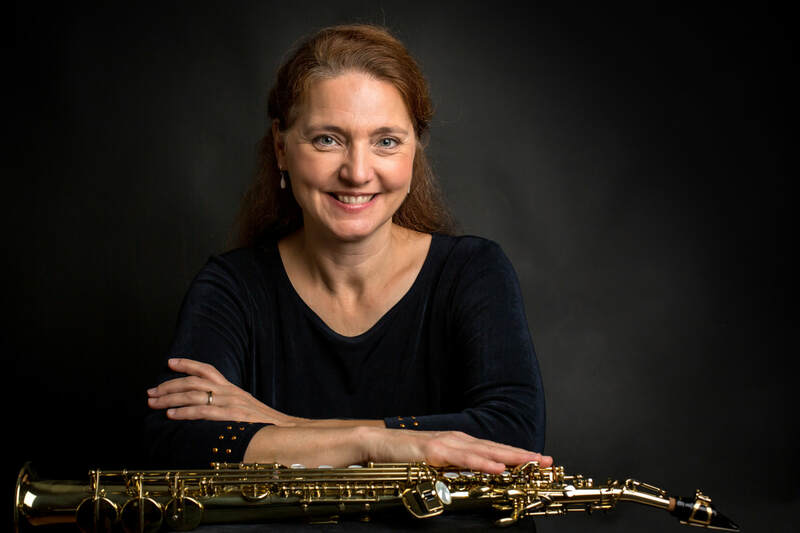 She is an active soloist and chamber musician, performing regularly with pianist Inara Zandmane, the Red Clay Saxophone Quartet, Blue Mountain/Forecast Music, and the Women's Woodwind Ensemble. She teaches saxophone at Duke University. Upcoming projects include a new work for soprano saxophone and string quartet (to be premiered together with the Ciompi String Quartet), and a concerto for soprano saxophone, wind ensemble and electronics by Charles Nichols. In recent years, Susan Fancher has championed several new soprano saxophone concertos, including the wind ensemble version of Michael Torke's Concerto, a concerto based on Celtic themes by David Kirkland Garner, and Mark Engebretson’s Concerto for soprano saxophone and orchestra, which was premiered in Sala São Paulo under the baton of Ligia Amadio. The wind ensemble version of Engebretson's Concerto was premiered in Fall 2015 at SUNY Fredonia under the direction of Paula Holcomb, and was performed in Spring 2016 at Roosevelt University under the direction of Stephen Squires. The May 2013 CD release “Of Erthe and Air: Susan Fancher and friends play music of Hilary Tann” (Arizona University Records CD 5014) features a live performance from 2009 of Tann’s soprano saxophone concerto Shakkei with the Thailand Philharmonic Orchestra. Susan Fancher plays exclusively on Selmer Paris saxophones and Vandoren mouthpieces, reeds and ligatures.